South Korean company LG has released its newest smartphone flagship handset named as LG G4 announced on 29 Apr 2015 with so many specifications and features. LG G4 has supposed to fight against the smartphone market likes Apple Iphone6, Samsung Galaxy S6/S6 Edge and HTC One M9.The specifications and features of LG G4 is almost same as like LG G3 with some minor differences like its cameras,display qualities etc. The company LG says,the price of LG G4 in India is expected to be Rs.49,900. 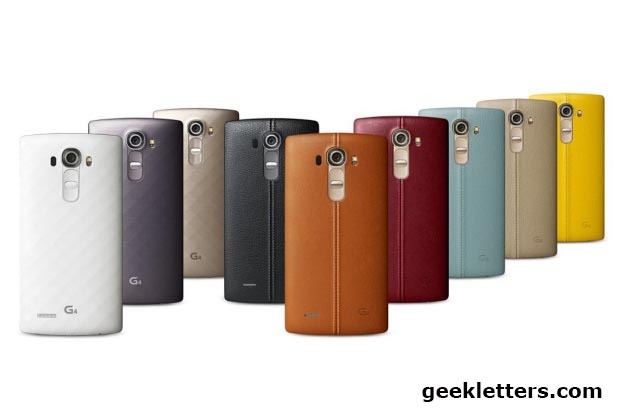 LG G4 comes with a back cover wrapped by a leather. 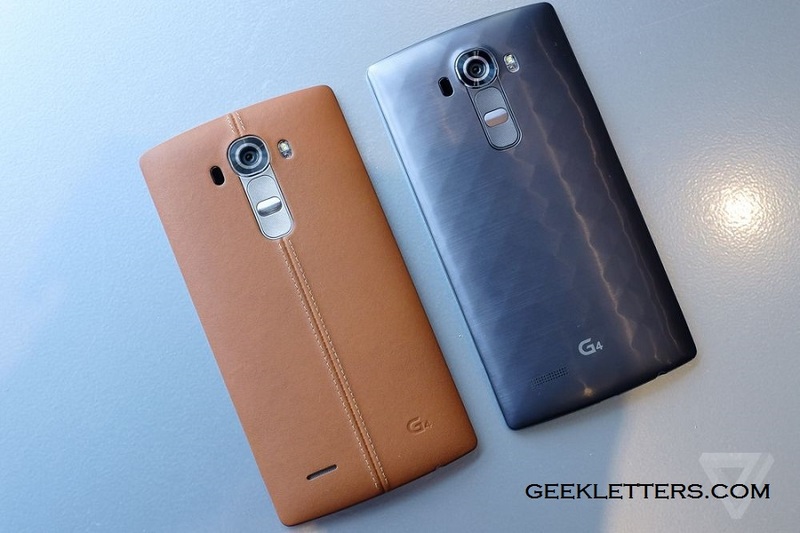 LG G4 encapsulates so many powerful features over than LG G3. The company LG says , the display of LG G4 is 20 percent more brighter, 50 percent more contrastable and 20 percent better colour accuracy than its LG G3. The LG G4`s display comes with a 5.5 inch QHD Quantum IPS HD panel with a resolution of 2560 x 1440 pixels with 538 ppi. LG says G4`s screen is more power saver than its LG G3 that offering sharp and better visual viewing experience. LG G4 is powered by a 2GHz quad-core Qualcomm Snapdragon 808 Hexa-Core processor with Adreno 418 GPU and its 3 GB RAM offers better and efficient performances. The internal storage of G4 is 32 GB of type eMMC for storing pictures,media, video,business documents and also for installing various applications from google play store. It can be further expanded upto 128 GB by using microSD card. LG says, the users of LG G4 will also get 100 GB of free google drive storage for two years so that the users can store files on the cloud storage that can be accessed by the users from anywhere and anytimes. Screen size: 5.5″ curved QHD IPS display with resolution of 2560×1440 pixels with 538 ppi. Processor: 2GHz quad-core Qualcomm Snapdragon 808 Hexa-Core processor with Adreno 418 GPU. RAM: 3GB DDR3( for fast and efficient performance). ROM: 32 GB of type eMMC and expandable upto 128 GB by using microSD card. Camera: 16 megapixels rear main camera with LED flash OIS (+Laser Autofocus with aperture,f/1.8 lens) and on the front, 8 megapixels for capturing selfie photos and for making video calls. Battery: 3000 mAh of removable type. Operating System: 5.1 (Lollipop) + LG custom interface. Connectivity: 4G, Wi-Fi 802.11 a/b/g/n/ac, Bluetooth 4.0, Infrared, NFC and microUSB 2.0 port. Size & Weight: 148.9×76.1×6.3-9.8mm /155g. [Genuine Leather] Black / Brown / Red / Sky Blue / Beige / Yellow.